New Student Orientation is the first time in which freshmen come together for an all-class event. Photo courtesy of Instagram @provcollege. Ice-breakers. Just the sound of that word sends a chill down any college freshman’s back; this holds true at Providence College as well. As New Student Orientation wrapped up over Labor Day Weekend, the consensus among the freshman class was pure relief; many freshmen were relieved that orientation was over. However, this is not the type of feedback orientation should elicit. The program must change for next year’s orientation. New Student Orientation spans the course of two weekends: the weekend of freshman move-in day and Labor Day weekend. The program begins the minute freshmen students say their good-byes to their parents, one of its flaws, as the students who are already overwhelmed with emotions must transform their nerves into social efforts in order to interact with the students in their orientation groups. Orientation should be held earlier in the summer, like it is at other colleges. This way, incoming students are able to experience a few nights feeling like true college students and have an idea of what to expect before coming in. This change will ease the nerves of new students by showing them familiar faces and allowing them to seek out important buildings, such as the academic buildings, dorm buildings, and recreational facilities, where their classes take place, before they even start. A lot of the mandatory sessions during orientation were not even related to the college transition, but focused rather more on warning students of possible threatening scenarios. Students were also unhappy with the surplus amount of somber topics paired with the lack of fun experiences and activities. Another unrealistic aspect of orientation was the non-stop structure, as normal college students have the freedom to make their own schedule. The incoming students felt confined to their small group and the tightly-packed schedule that they were unable to make an effort towards other students with similar interests, especially because the orientation groups were completely random. “I felt that being limited to one orientation group and also being forced to sit with them during meals limited me from branching out to other students,” said Lauryn Anthony ’22. Even some orientation leaders themselves noticed a lack of enthusiasm among the freshman class, furthering the need to reform the program for the future. 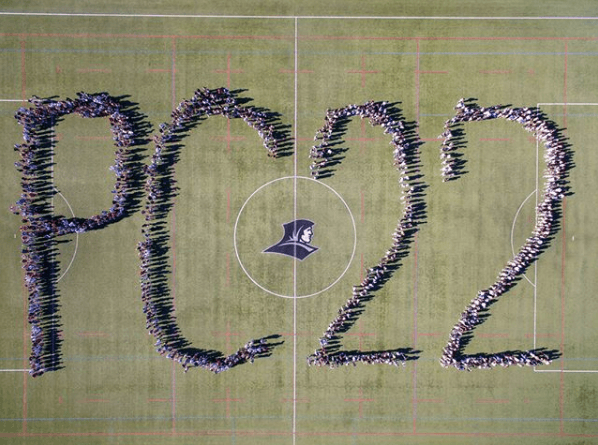 When the Class of 2023 enters next year, the program must implement these changes in order to gain greater appreciation for orientation, as well as a more positive attitude.